Well, we interviewed 3 landscape people. One was weird, and I finally got one of the designs back. She did two iterations. 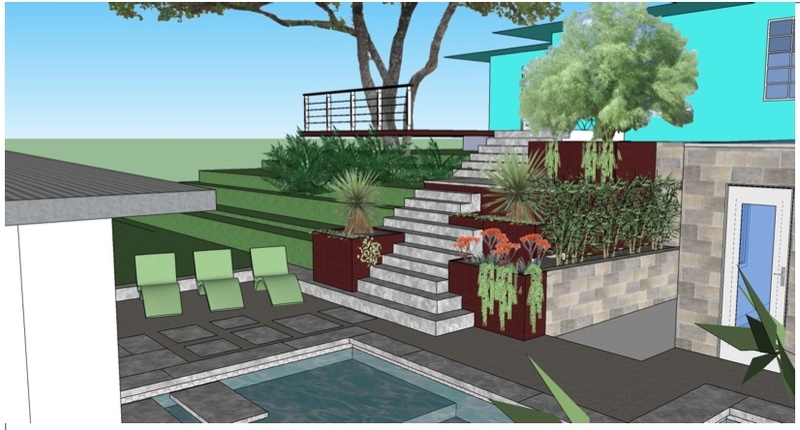 Things I like about this design include the stairs, giant steel planters, and cabana. 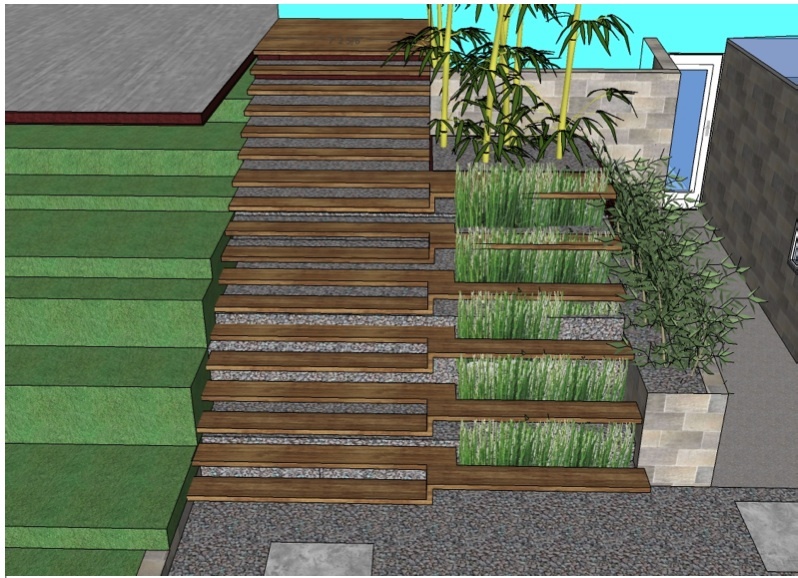 I like that the stairs are staggered and imperfect. 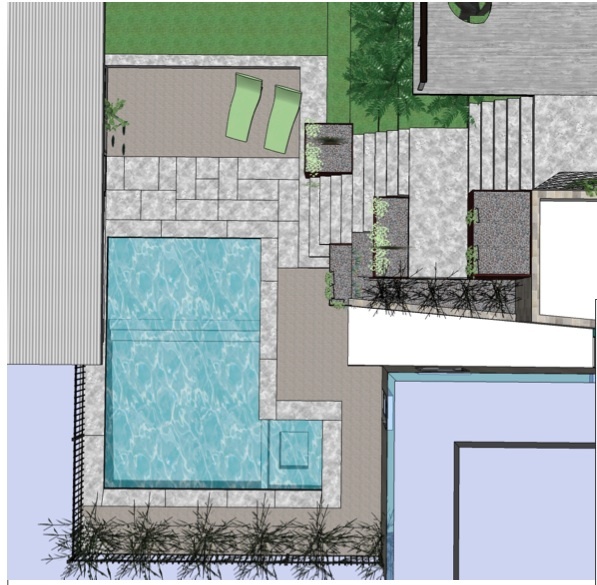 I don’t like the abundance of stone/ concrete. I like the stairs, but not that they’re so straight. I like the wood though. 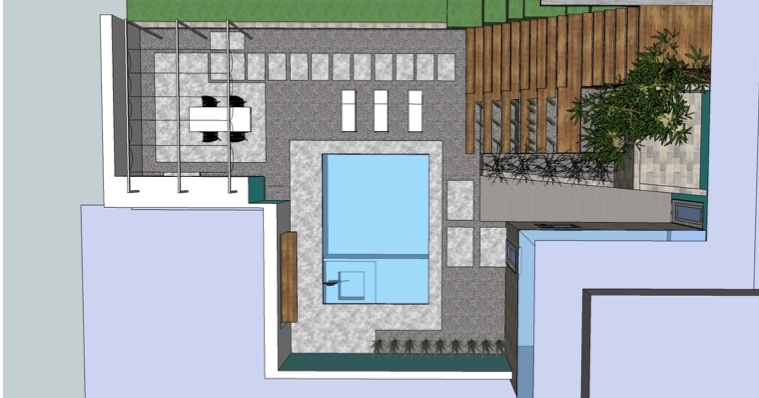 I like the overall feel of this plan, and the shaded area, but there’s no cabana. BOO!! OOOHHH. I love the idea of the retractable glass garage door!! Genius!! And yes, I would love you to visit!! OMG Lisa, that is so sweet!! Thanks so much for your comment. Made my week! !